TOP MAN: England's Jonny Bairstow drives one through the covers in his innings of 52 on the first day of the second Test in Antigua. Picture: Shaun Botterill/Getty Images. IT WAS transfer deadline day, of course, in shivering England, cold enough that even Harry Redknapp might have baulked at the idea of winding down his car window to talk to reporters. 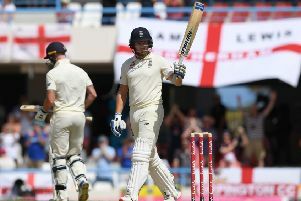 In sweltering Antigua, where the second Test started at the Sir Vivian Richards Stadium, it might have been tempting to wonder who Joe Root’s side would have tried to sign had there been a transfer market in international cricket. As English wickets fell cheaply again, would they have looked to buy India’s Cheteshwar Pujara, perhaps, a batsman renowned for unfailing patience, or possibly a player of similar ilk in New Zealand’s Kane Williamson? Or would they have made a cheeky attempt to snap up on a free transfer Geoffrey Boycott of Boston Spa, who, aged 78, could probably still do a better job than many who have been tried and discarded as opening batsmen? There are undoubtedly players that England would wish to sign in a transfer window: India’s Virat Kohli, for example, would be the equivalent of snapping up Lionel Messi. 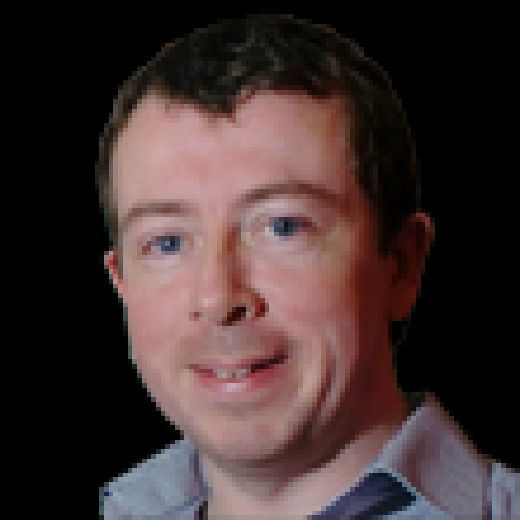 But one man that they would definitely not want to part company with is Yorkshire’s Jonny Bairstow, whose presence would be welcomed by any side, such is his increasing stature on the international scene. For some reason, such situations seem to bring the best out of him, as though they only heighten his competitive instinct. Predictably, his top-order colleagues made little contribution. On a day of tumbling wickets and soaring temperatures, a day when batting was never easy on a pitch of variable bounce, Bairstow played the standout innings when conditions for batting were at their most difficult. Under the circumstances, his 52 out of 78-4 at the point of dismissal, out of a final score of 187 to which West Indies replied with 30-0, was outstanding as the ball zipped about on a spicy surface: green, damp, and occasionally volatile. As he has done so often in Yorkshire colours, albeit from No 4/No 5 with his team in trouble, England’s new No 3 rose to the challenge of a tough situation. Rory Burns and Joe Denly, the new opening partnership, both played extravagant drives to wide deliveries in the first three overs that could have sent them packing after West Indies won a helpful toss. Burns survived until the fifth over, whereupon he defended to second slip, and Denly until the 10th, when his maiden Test innings finished when he toe-ended a long hop to the wicketkeeper, trying to cut without foot movement. The Kent man, who had not opened in a first-class match since 2015, could barely have gone in more wretched fashion after scoring six from 23 balls. 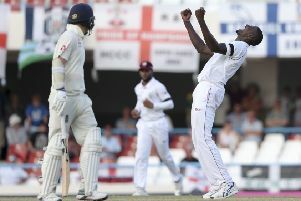 Root could barely have gone in more unfortunate fashion, the England captain getting the most vicious delivery of the day when Alzarri Joseph reared one up from a length that took the glove/bat handle, John Campbell parrying the rebound to Shai Hope in the cordon. Jos Buttler then tried to knock Jason Holder off his line by walking into a defensive shot that he edged to second slip. Bairstow counter-attacked thrillingly, striking five boundaries in eight balls at one stage. He lasted until the second delivery after lunch, lbw on review to Kemar Roach, trying to drive down the ground. England slipped to 93-6 when Ben Stokes nibbled outside off and was caught behind, West Indies having bowled pretty well, but perhaps not as well as the score might suggest. In easing conditions as the ball grew soft, conditions in which Bairstow might have taken even more advantage, Moeen Ali and Ben Foakes then added 85 in 28 overs. Both played well, Moeen achieving the top-score of 60 from 104 balls with eight fours and a six before skying to mid-on, triggering a collapse that saw the last four wickets go for nine runs. Foakes played-on an attempted pull off Gabriel via his hand and hip, sustaining bruising to the hand in the process that meant Bairstow kept wicket in the closing stages. Sam Curran was caught in the slips off a lifter and James Anderson bowled making room to leg. Kraigg Brathwaite and Campbell saw out the last 21 overs to leave England facing not deadline day, but D-day.